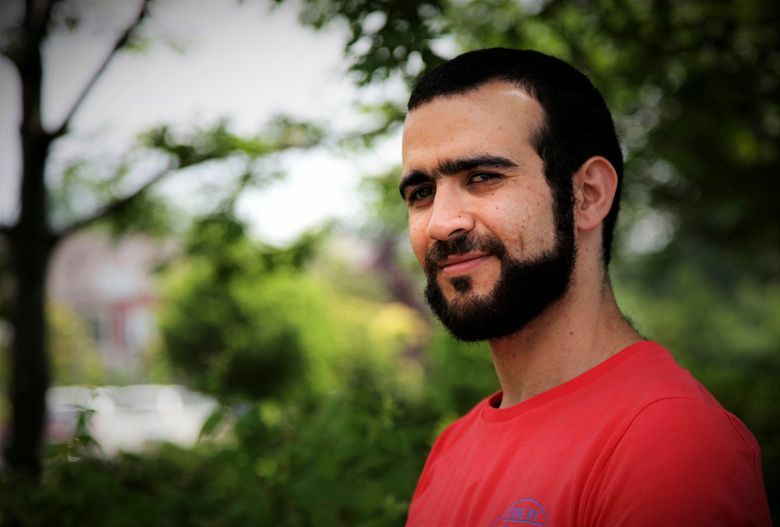 EDMONTON, Alberta (AP) — A Canadian judge on Friday denied former Guantanamo Bay detainee Omar Khadr’s request for relaxed bail conditions and a Canadian passport. Justice June Ross ruled there’s no evidence of hardship or conditions that are needlessly onerous. The Canadian-born Khadr was 15 when he was captured by U.S. troops after a firefight at a suspected al-Qaida compound in Afghanistan that resulted in the death of U.S. Army Sgt. First Class Christopher Speer. Khadr was suspected of throwing the grenade that killed Speer. Khadr’s lawyer had argued that it wasn’t fair that his client’s life remains restricted by a stalled U.S. court process that has no end in sight. Khadr, who is now 32, wanted unsupervised conversations with his sister and a Canadian passport so that he could make a pilgrimage to Mecca in Saudi Arabia. Khadr also wanted to be able to travel to Toronto without the approval of his bail supervisor to visit his family more easily and to make court appearances related to a civil lawsuit he faces. Khadr does not know how long his bail conditions are in effect. He was paid $8 million by Canada’s government last year under a court ruling that his rights were violated while he was locked up at Guantanamo.